Rhabdopleuroididae - Ordovician family of rhabdopleurid pterobranchs. tubes and stolons without cysts of sterile buds. Diagnosis. - See KozĹ‚owski (1961: 4-5). borehole Mielnik (depth 1118-1124 m). as a result of intense decouloring. zoological nomenclature. According to Artcle No. 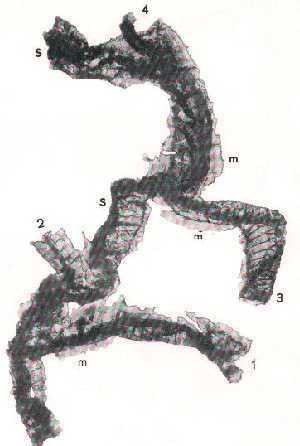 series except for the holotype were available. Occurence. - Ordovician of Poland. - stolon, 1-4 - lateral tubes. Ordovician boulder No. O.90, Rewal. ts- stolonal tube, tz - zooidal tube. For related pages see HERE.